The section below describes key priorities for what we will do across our four focus areas in 2019. Each area includes specific activities for these priorities. Each area also includes details about the ways by which we will assess how well we are progressing against our objectives for the year. One of the earliest priorities of the Internet Society was to increase the reach of the Internet. That priority continues today because the Internet is for everyone. Every last person on the planet is part of “everyone”, and we won’t rest until each person has the option of choosing to be connected. We promote policies and build communities to sustain an Internet that is a universally accessible platform for innovation, creativity, and economic opportunity. We advance the development and application of Internet infrastructure, technologies, and open standards to enable an open Internet for all. The most prominent part of our investment in connecting people in 2019 remains our campaign in favor of community networks. In 2018, we undertook successful efforts to support the creation of community networks. In the coming year we will shift our work by establishing enduring technical, policy, and regulatory frameworks that will help communities of the world connect themselves. The whole Internet community—a global, self-sustaining community of industry, governments, technical experts, policy makers, and the community members themselves—is needed to complete this work. The culmination of this effort will be a global summit for this community by the end of 2019, hosted by the Internet Society. The summit will be the expression of a roadmap to advance community networks, and be a foundation for a community-driven organization of community networks to implement the roadmap. We have set intermediate objectives to ensure we are on track to achieve this result. These include garnering economic and political support for community networks. We will work to get at least four governments to express a willingness to use public funds (e.g. Universal service funds) for community networks. We also expect to have two international development agencies pledge to make community networks part of their funding portfolios. Continuing our support and development of Internet exchange points (IXPs). We previously shifted away from direct involvement in this area, but are continuing to support others in their efforts. Success will be measured by observing the ongoing viability of IXPs where we have been involved, as our involvement declines. Our goal is that 80% of African Internet traffic remains in Africa. Collaborating with Facebook in Africa. We will provide equipment, build capacity, and promote best practices to scale the technical operations of at least 10 IXPs in Africa. We will also support the 2019 edition of the African Peering and Interconnection Forum (AfPIF) with a goal of attracting 20% more participants than in 2018. Training and skills development, in collaboration with other capacity-development organizations. Success will be measured by the incorporation of trainees into direct network operations, and also by the use of previously-trained people as instructors in subsequent training sessions. 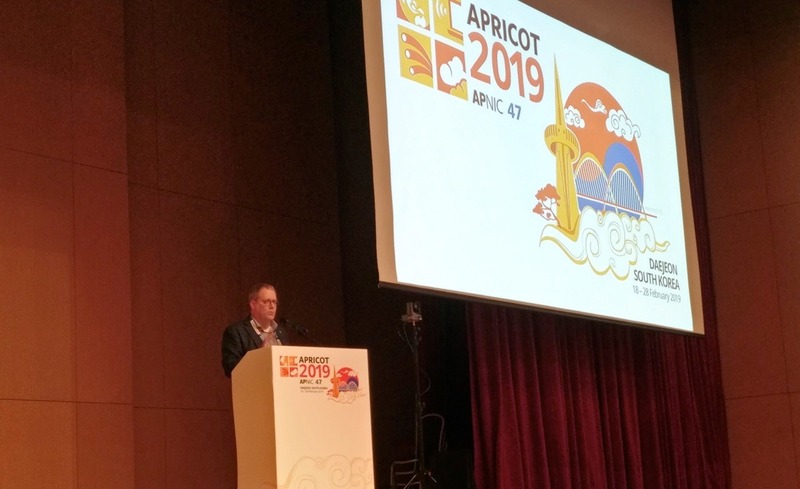 Continued support of forums like the African Peering and Interconnection Forum (AfPIF) and the Indigenous Community Summit (ICS), including ensuring evolution towards becoming true community events. Success will be measured by the extent to which organizations other than Internet Society are involved in operating the events. Trust is the key issue in defining the future value of the Internet. 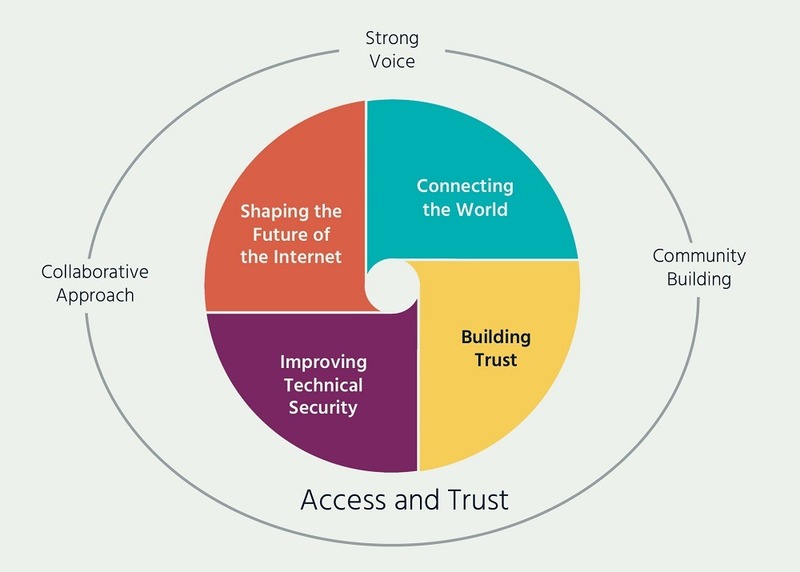 The Internet Society’s policy agenda on trust is guided by our “Policy Framework for an Open and Trusted Internet“. This document underscores the challenge that diminishing trust presents to the Internet. And, it provides a blueprint for addressing the complexities of establishing the solid foundation of trust required to realize the Internet’s full potential. At its core, trust is created by taking responsibility for securing that piece of the Internet for which one bears responsibility, and by being held to account when one doesn’t. Among our activities for 2019 in this focus area, we will prioritize improving the security posture of producers of Internet of Things (IoT) devices. The goal is to make IoT security a differentiator for consumers. We will use the Online Trust Alliance’s (OTA) trust framework as a cornerstone of an expanded IoT-focused effort. For example, we have set a goal of obtaining commitment to the OTA’s IoT Framework from at least five manufacturers of IoT devices by the end of 2019, representing at least 10% of their segment in the consumer market. We believe such penetration is enough to influence the market in a desirable direction. We will test at least ten consumer IoT devices against the IoT Framework, and we will further the adoption and advocacy of the IoT Framework through workshops and training that empower others to advocate for IoT security. Finally, we will help make security and privacy a purchasing consideration for consumers of IoT devices, with the aim of raising consumer awareness in targeted demographics by 20%. As part of this priority focus area, and beyond IoT specifically, we will continue to grow the OTA as a vibrant community of enterprises and businesses that care about a trusted Internet and that are ready to lead by example. We approach the critical issue of trust from many dimensions. Beyond consumers, we provide a home for the Network and Distributed System Symposium (NDSS). NDSS is a top academic conference on network and systems security, with a unique open-publication policy. This conference not only attracts top researchers from around the world, but shares contributions in a way that promotes diffusion of information to industry and beyond. In addition, we will continue our work in the Global Commission on the Stability of Cyberspace (GCSC), and contribute to the global norm development around Cyber and International Stability. We will of course continue to weigh in on discussions around privacy, identification, and encryption in various policy-oriented forums. We will continue to speak out against Internet shutdowns, lending our technical expertise to communities impacted by government mandated disruptions of Internet access. Where applicable we will contribute to trust-enabling technical developments, such as technologies that enhance transparency or improve privacy. We continue to ensure that our baseline understanding of emerging issues is current by working through the community. This is part of how we work. Staying abreast of topics of consequence is critical to informed and coordinated approaches to issues that cut across policy and technical fields. But, given the breadth of issues in play, we know we must be smart about our efforts. Therefore, in 2019 we will develop criteria by which we evaluate which industry, technical, and policy events we participate in, and how our participation there is reported to the rest of the organization. We will publish that for our communities to understand, so that our members and Chapters have a clear idea of why staff participate in some venues, and not others. How we work is as important to our shared success as what we do. The section below outlines the approaches we intend to take to our work in the year ahead. As with the section above, specifics of how we will embody these approaches, including measures for how well they are being realized, are outlined below. The Internet is a network of networks, so it can only work by voluntary efforts. Our vision is to keep the Internet governance ecosystem decentralized, collaborative, and multistakeholder-based by demonstrating the value of this approach and strengthening the role of the Internet Society as a trusted steward of the Internet. One of our priorities is to ensure the roles and responsibilities of different stakeholders are respected. For example, governments should not interfere with the day-to-day technical management of the Internet. This notably implies ensuring the independence of the Internet’s technical standards-setting processes, such as those within the Internet Engineering Task Force—which we promote as a model of multistakeholder processes. Collaborating with the IETF as it updates its administrative structure, we will maintain strong substantive ties. These will ensure that work in the IETF and the Internet Architecture Board (IAB) informs the work in the Internet Society and vice versa. Moreover, we will help promote the work of the IETF to raise awareness among potential participants, and among policy makers who may not participate in the IETF, but whose work will benefit from understanding its role in the Internet ecosystem. Beyond the IETF, we will support other communities that are key to the Internet. For example, we expect to continue to organize regular meetings to promote cooperation and coordination among the Internet’s various technical bodies, such as the Regional Internet Registries and ICANN. We will also follow closely work in these organizations that affect the Internet’s collaborative governance approach. Finally, in order to ensure that our efforts to develop leadership in the Internet community are successful, we will undertake a broad evaluation of all our Fellow and Ambassador programs to look for overall unity of purpose. A proposal for how to proceed will be available no later than Q3. In addition, we need to be vigilant in 2019 that new regulations to address emerging technologies do not result in harming the Internet. For this, we will work to make Internet-related governmental processes more collaborative and multistakeholder-based. The end goal of this effort is to ensure these processes lead to sound policies that support the open, global Internet. Finally, we will work to promote the spread of the culture of multistakeholder governance. 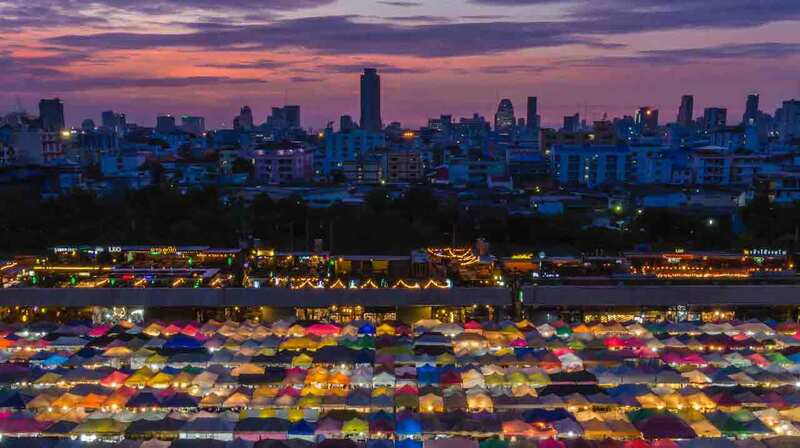 This will include using the Internet Society’s standing in forums such as the International Telecommunications Union (ITU), the Internet Governance Forum (IGF), the Asia-Pacific Economic Cooperation (APEC), and the OECD. We will engage with national governments to encourage the application of the multistakeholder framework within their own policy setting processes. And, we will promote the multistakeholder approach by supporting participation by the technical community in key governmental discussions that could impact the Internet, providing information to Internet Society Members and Chapters to assist work with their own governments, and training key stakeholders on how to be effective participants in collaborative governance discussions. We will measure our work in this area by the extent to which the multistakeholder approach is adopted by governmental processes related to the Internet. For example, we will assess whether forums such as the G20 and G7 are more inclusive, and the degree to which national governments engage in multistakeholder approaches on topics such as best practices for the Internet of Things. We will also directly measure the participation in programs such as the Policy Guests to the IETF, and whether our multistakeholder training program results in students putting skills learned in those workshops to use in their local environments. One of the venues for collaboration across the Internet community has been the Internet Governance Forum (IGF), including various national IGFs. The Internet Society has observed more than once that the global IGF, in particular, would benefit from certain reforms. However, there have not been tangible changes to date. Increasingly, discussions about the most pressing issues facing the Internet are held outside the IGF, and these venues are often not as open or inclusive of a wide range of stakeholders. To be good stewards of our resources, in 2019 we will evaluate our level of staff participation in the global IGF, particularly considering its effectiveness in adapting to the changing global environment. We will also consider other opportunities that may be more effective in influencing global Internet policy issues. This revised approach will be prepared before the middle of 2019. We believe mobilizing people around the world is key to ensuring the Internet’s future and that strengthening and increasing support for our membership community is key to the Internet Society’s success. Therefore, bringing together and engaging with our community, especially our Members and Chapters, is one of our highest priorities. Beyond these, our Special Interest Groups, joined with innovative young leaders we support and Internet pioneers we recognize, form a uniquely broad coalition united in realizing the Internet Society’s vision that the Internet is for everyone. Our work is shaped by the understanding that community is much more than belonging to something; it’s about doing something together that makes belonging matter. Yet this is an aspiration we have not consistently achieved. Therefore, in 2019 we will improve our community engagement work by providing inclusive and innovative ways to involve our Community at all levels of our work to advance our mission and strategic objectives. We will continue to support Chapters as they make key contributions to our global priorities at the local level. We will reinvigorate our relationship with Organization Members and Partners as well as Individual Members, and we will develop our relationship with Civil Society to more closely align shared interests and priorities to increase the reach and impact of the Internet Society. In order to achieve these goals, we will complete the realignment of staff functions in order to put membership support and Chapter support together. The effectiveness of the organizational change will be measured in engagement with Chapters (including the health ranking of Chapters) and the successful implementation of an improved organizational membership experience. That improved experience is expected to make organizational membership more attractive, which will be indicated by increased member numbers and increased revenue from members. Creating and fostering connections and engagement across our global community is equally important. We will build links among the Internet Society community through our support of the work of the Chapters Advisory Council, and by funding and developing resources and activities such as regional events and fellowship programs to enhance Chapters’ capacities and increase Chapters’ abilities to act as advocates for the Internet. Strengthened Regional Bureaus will serve as important conduits and catalysts for integrating and tailoring local priorities, perspectives, and capabilities into Internet Society activities and processes. We will also more closely connect our Individual Members, Organization Members, Partners, and staff by fostering ways for members to engage with each other to develop, promote, and advocate for real-world best practices that support our activities and campaigns. This will include strengthening the integration of the Online Trust Alliance Initiative in our global community to provide a model for collaborative and focused engagement that we believe should be adopted and replicated in other areas of the Internet Society’s work. More broadly, and developed in collaboration with the Organization Members Advisory Council, a strategic partnership model for Organization Members and Partners will provide an avenue for organizational engagement and participation in our work and provide diversification of revenue. Individual Members are another critical part of our community: they are our feet on the ground supporting our mission and objectives across the globe. We will develop an individual membership recruitment and engagement plan to rebuild and expand our membership. It is apparent that there are activities that many of our members and Chapters do not have the resources to do themselves, but that would benefit many of them. For example, many Chapters and members are inexpert in applying for funds available for their activities. In the first quarter of 2019, we will undertake an analysis of the feasibility of offering a “service bureau” function for the benefit of our Chapters and members. The global range of issues that the target audience may face may present challenges, but we will continue to look for ways that the Internet Society staff can better serve our wider community. Beyond our membership, we will work to increase awareness with Civil Society organizations about the value of the Internet in advancing their work. We will engage with Civil Society more actively and consistently in multistakeholder discussions and in alignment with Internet Society priorities and programs. Our work on Sustainable Development will continue to show the impact of the Internet in the achievement and acceleration of the United Nations’ Sustainable Development Goals through building partnerships and reaching communities that depend on the Internet to make a positive change in people’s lives. Doing work without letting anyone know about it does not encourage others to participate in the work. We have a refreshed brand identity, an improved ability to execute on communications activities, and a stronger external focus, so now we must make our communications more effective. We have the opportunity to ensure the Internet Society is the champion of the global Internet and the organization to which the world looks for direction in shaping its future. In 2019, we will make our communications efforts more effective, speaking out clearly and boldly. Coordination and consistency will bring greater profile and focus to our global and regional presence. Clarity will ensure our messages are better and more broadly understood, ensuring more people have heard the changes we want. Boldness allows us to cut through others’ noise and lead the way in achieving the outcomes we seek. We will work harder to place our work in the rapidly shifting global context, focusing on a mix of stronger messaging, improved use of digital channels, greater media engagement, and the creation of innovative and news-driven content that places us at the heart of important conversations about the Internet. Our communications outputs will be carefully and strategically aligned with our organizational priorities and will be aimed at delivering the outcomes we wish to see across our programmatic focus areas. We will set specific, detailed targets and metrics for defined communications activities and workstreams. These will be drawn up on a case-by-case basis as part of our communications planning. For example, in planning for our engagement around a key conference, we may set a communications target of 2-3 C-level media interviews and resulting coverage in relevant publications. A related metric may be that conference delegates reference, share, or amplify that coverage and reflect our message in their actions and outputs at the conference. Website Engagement. We will measure the quality and quantity of traffic to our website, targeting 3+million page views in 2019, with a significant proportion on our campaign pages. Media Footprint. Building on our use of traditional PR measurement tools (e.g. reach, net sentiment, message penetration) and the baseline measures established in 2018, we will track the value we create through media exposure and other earned channels, targeting quarter by quarter growth in qualitative and quantitative results and a 5% increase in performance by year end. Social Engagement. As an extension of the social listening that we already carry out, we will improve alignment of our global and regional messaging, training, channel segmentation, influencer identification, and engagement with users. The success of this strategic drive will be measured by tracking against an average user engagement rate of 1.3% by June 30th, and 1.4% by December 31st, 2019. Brand Health. Here we will set a composite benchmark and scoring system early in 2019 against which to measure our effectiveness and influence as an organization. Our brand health will be represented by a single consolidated metric made up of the multiple different measures we have across our social, PR/media and website communications disciplines. Through aggregation and analysis of these metrics, we will look to provide insight into our brand reputation, awareness, brand equity and brand positioning, targeting an increase of at least 3% in brand health by the end of 2019. In this way, we can gauge our effectiveness through the impact of our global brand, the extent to which our messages are positively conveyed in the media, the levels of engagement we achieved on social media, and the reach of our online presence. Understanding these results will help us to deliver on our broader Strategic Communications objectives of building our global brand and reputation around the world, expanding our sphere of influence, and becoming better known as the organization that provides direction in ensuring that the Internet continues to exist as a resource to enrich people’s lives, and as a force for good in society. Beyond setting out what we will do and how we do it, there are several organization-level developments that influence our work in 2019. Chapter capacity building. Chapter grant funding for local and regional projects aligned with the Internet Society’s mission. Since its founding, the Internet Society has worked closely with and strongly supported the Internet Engineering Task Force (IETF). In 2018, the IETF reached a significant milestone in the process of evolving its own administrative structure to best suit the current requirements of its work. After nearly two years of discussion about various options, the IETF community created the IETF Administration LLC (IETF LLC), a new legal entity, to meet its administrative support requirements. Formally, the IETF LLC is a disregarded entity and a supporting organization of the Internet Society. In the more than three decades since it began, the IETF has evolved its administrative structure several times. The process that drove this latest evolution in its day-to-day operational and administrative practices embodied important core principles of the IETF: open and consensus-based processes and improvement based on lessons learned from experience (i.e. “running code”), while keeping firmly focused on an overarching mission to make the Internet work better. Similarly, the IETF LLC Board has already taken decisions that reflect these same principles, such as making its meetings open to observers and promptly publishing its minutes. During the IETF community’s discussions, the Internet Society expressed strong support for the process and, as the discussions concluded, for the direction the IETF decided to take. The Internet Society made financial commitments to support the process of exploring and defining a new administrative structure, as well as to the IETF going forward under the IETF LLC to ensure a strong start to the new organization. As part of this commitment the Internet Society has pledged $5 million in funding, to be provided via the Internet Society Foundation, each year in 2019 and 2020. This new administrative structure strengthens the foundation for an Internet built on open standards. Importantly, it will not change any aspect of the IETF’s technical work or the Internet standards process, and it clarifies the relationship between the Internet Society and the IETF. The IETF and the Internet Society continue to be strongly aligned on key principles. Programmatically, the Internet Society initiatives related to the IETF, such as the Technical Fellows to the IETF and the Deploy360 Programme, will continue to support participation in the IETF and deployment of the standards created by the IETF. The Internet Society’s internal operations were improved in 2017 and 2018. Growth in staff numbers and the wide availability of software as a service provides us with the opportunity to build on those improvements. In particular, improved financial control systems completing deployment in early 2019 mean that options that were not previously interesting may suddenly be valuable. Areas of particular interest are human resources systems, reporting on travel spending, and mechanisms by which employee expenses are better reported against budget categories. In 2019, these analyses will be undertaken and, when appropriate, new techniques or features will be implemented. The success of such initiatives will be evaluated in one of three ways. The best case is where the new initiative actually saves money or increases efficiency in the medium term (i.e. 3-5 years), and where there are transparency gains so that our community can better understand how the Internet Society spends the money it has. The second best case is where the new initiative does not save any money (or even costs slightly more), but transparency increases. The final case is where the new initiative only saves money or raises efficiency in the medium term (i.e. net reduced expenditure after 3-5 years). Any initiative that is not likely to yield one of these results will not be undertaken as part of this action plan. Finally, in response to the ongoing evolution of the organization and the success of recent changes to the way we undertake our work, additional organizational changes are likely in 2019. These changes will be evaluated by how well they support the Internet Society in ensuring that the Internet is for everyone—particularly by strengthening the relationship among staff and our members and Chapters, or by allowing for more effective collaboration and communication throughout the organization. Our 2019 Action Plan is supported by a Financial Plan that ensures the Internet Society remains fiscally strong and operates in the most effective manner as a charitable not-for-profit entity. The Financial Plan ensures that available resources are dedicated to achieving the greatest impact while the Action Plan tells us how to cause that impact. This year we have organized our financial plan based on the strategic focus areas and operational approaches that define what we will do and how we will approach our work in 2019. Our 2019 Revenue Plan totals US$38.7 million with the annual contribution from Public Interest Registry (PIR) decreasing in 2019 to US$34.2 million. Internet Society-generated (non-PIR) revenues of US$4.6 million are based on readily identifiable sources from members, sponsors, contributors, grantors, and meeting registrations. During 2019, our revenue generation will focus on building of Organization and Individual Members. Guided by the Internet Society’s Mission and Vision, we approach the coming year with a strong sense of purpose and direction. We have organized what we will do to tackle the key challenges to the Internet’s continued growth and evolution, and prioritized activities that will make the greatest difference. We will work to connect the world, to improve the technical security foundations of the Internet, and to build trust in those core Internet functions—while endeavoring to understand upcoming challenges and opportunities. We will extend the reach and effectiveness of our work by seeking collaboration, supporting and building our community, and continuing to invest in strengthening our global voice. Of course our plans for 2019 are built on, and learn from, our past work—including our 25-year legacy and more recent significant accomplishments. We have refined our campaign-led approach. We are evolving our organization to be more effective and to address functional gaps that became clear in 2018. Our plans include evaluating our efforts in several areas to understand how we can be even more effective. And, by putting clear measures for our work in place, we will know how well we are advancing our vision. In summary, we have a firm foundation and a clear plan for the year ahead to work towards an open, globally-connected, secure, and trustworthy Internet that produces a positive impact in the lives of people.